Back in 2015, Google announced that mobile searches had reached the same amount as desktop searches. This marked a historic point in terms of search engine optimization and where it was headed. 2016 has gone by, and mobility has now taken its place atop the searching mountain. It’s almost impossible to not see anyone looking down at their mobile device and not be looking for something. Desktop searches are starting to become a thing of the past given how voice searches are starting to gain momentum on mobile devices and its integration into the most popular apps seems rather inevitable. We are moving rather quickly from the traditional form of SEO, intended for desktop browsers and websites, and into the age of mobile search engine optimization. In addition to the growth of voice searches, a look at some of the most important trends for SEO in 2017 makes it rather clear that if a website does not run well on a mobile device then it will be punished by search engines. Google’s mobile-first indexing will probably become standard once they work out all the minor bugs and when that happens, crawlers are going to be searching a website’s mobile version to get all the indexing information they need to place a site on the appropriate spot in rankings. It’s time developers started worrying a little more about making sites mobile friendly and in order to get that done they will need to rely on several tools. Blogzuola is here with a set of tools that will help make a site more compatible with mobile devices and stay ahead of the game. Your site may already be rather user-friendly, but you just might not know as much. Thanks to Test my Site by Think with Google, the search engine’s company website that helps marketers analyze trends, a developer can check how mobile-friendly a site really is and what needs improvement. Google has practically set the rules and procedures for effective SEO since it became the leading search engine. The company is constantly innovating and experimenting how to index sites more effectively and in such a way that the ultimate winner will be the users and not the companies. 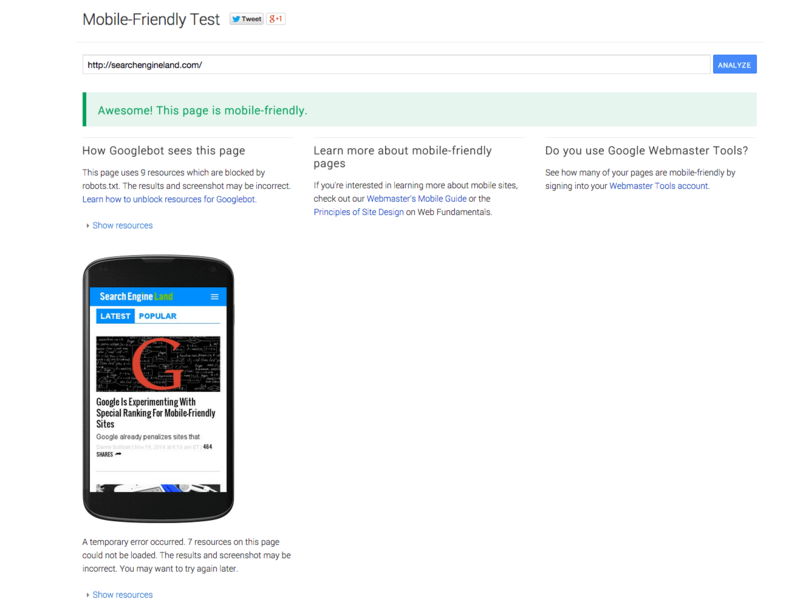 Test my Site provides a pretty good starting point for any mobile SEO strategy. If you’re in the mood for a second opinion, you can always try Mobile Friendly Check by SEOCentro. Keyword analysis will always be a huge part of any SEO campaign. It gives marketers the starting point for creating content that will capture a user’s attention and have them coming back for more. Keywords are usually based on words that a large number of people are searching for. Adwords Keyword Planner can show marketers which keywords are trending on mobile devices. All it takes is a quick configuration in the “Advanced options”. Just select “Mobile” where it says “show ideas and statistics for” and presto, you’ve got yourself keywords for mobile SEO. A while back Microsoft, Yahoo, Google, and Yandex teamed up to bring us Schema.org. With this, the four companies gave the world one of the best ways to optimize a site for SEO. They basically created a universal language which could tell crawlers a lot of really important information with the end user in mind. You’ve probably seen the results at the top of search results when a search engine shows you a snippet with the most relevant site for the information a user was searching for. Getting well versed in Schema markup will definitely help your mobile cause. Why? Ask yourself the following: “What stands out the most on relatively small screen, a snippet of information or the links to many websites?” The question answers itself. The final tool isn’t so much one, but rather a guide which will help developers create mobile optimized sites that will rank well with search engines in particular Google. Going over the guide and understanding what Google takes into consideration as an optimized mobile friendly site will come in very handy when a developer is setting one up. Imagine you’re a kid on the playground and follow the leader. 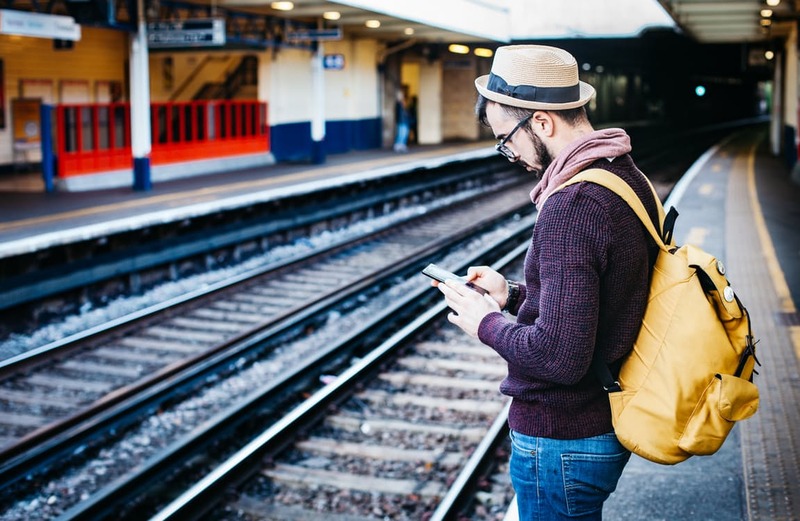 Mobile SEO is the future of the industry. 2016 was marked by a number of trends that clearly favored mobile friendliness over the traditional desktops. More and more people are satisfying their search needs on their mobile devices and SEO professionals and marketers must stay up to date with this trend which looks to become standard in the following years. The sooner a site becomes mobile friendly and uses SEO tools with a mobile focus, the sooner it will start to climb the rankings and get ahead of the competition.